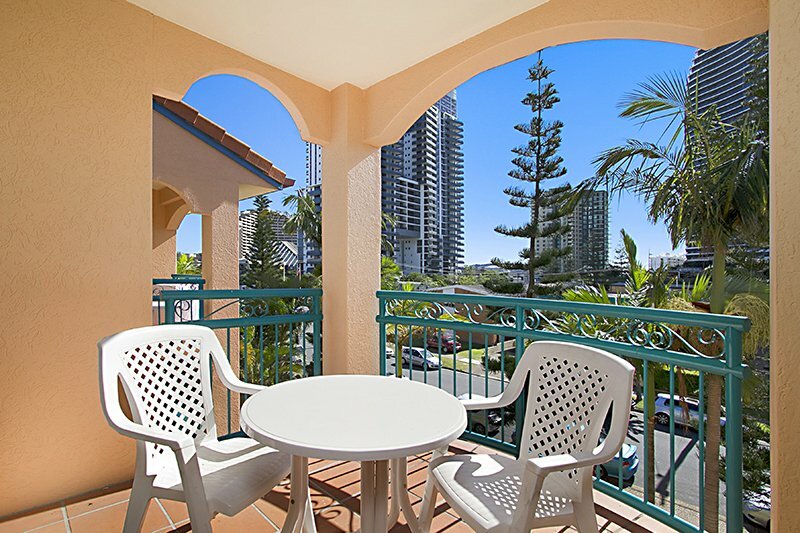 Experience resort accommodation at Aruba Surf Resort, where our spacious Broadbeach family apartments will provide you with a wonderful and relaxing vacation on the Gold Coast. 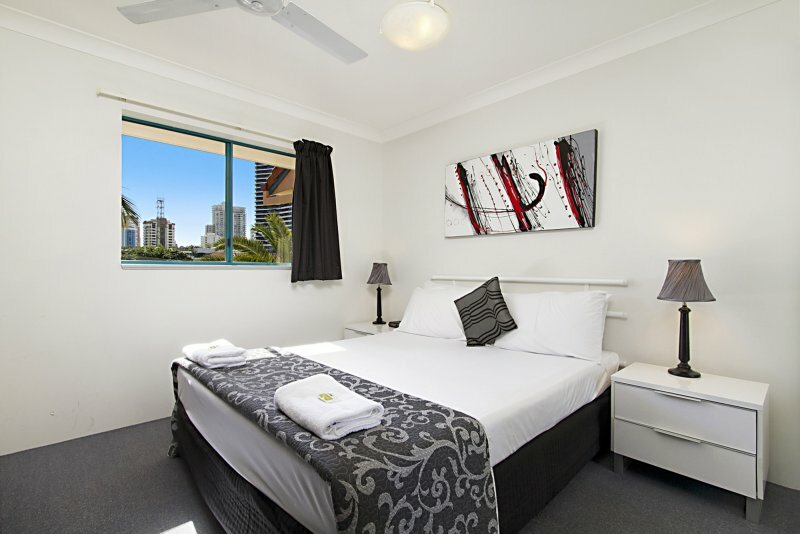 Our Gold Coast budget accommodation offers lovely studio apartments, plus one and two bedroom fully self contained apartments with bright modern furnishings, spacious lounge and dining area. 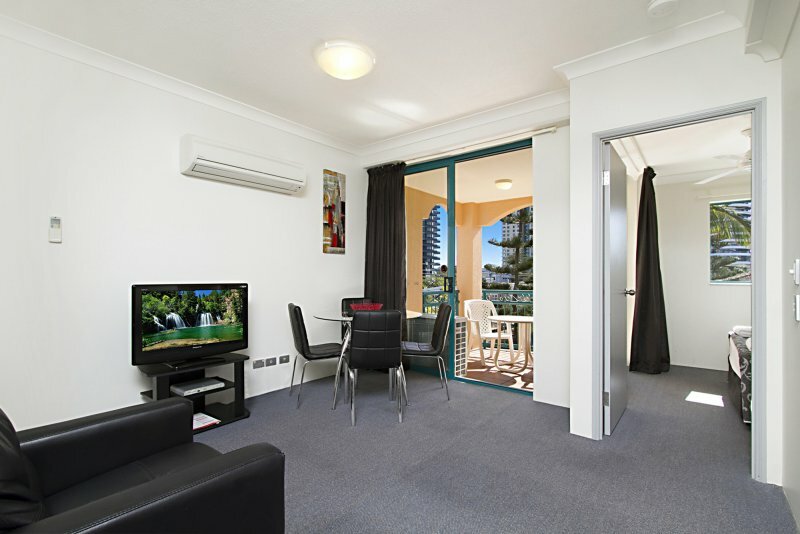 Complete and fully furnished, each one and two bedroom apartment is air conditioned and features full kitchen and laundry facilities, ceiling fans and TV, Free Foxtel & Free WiFi. 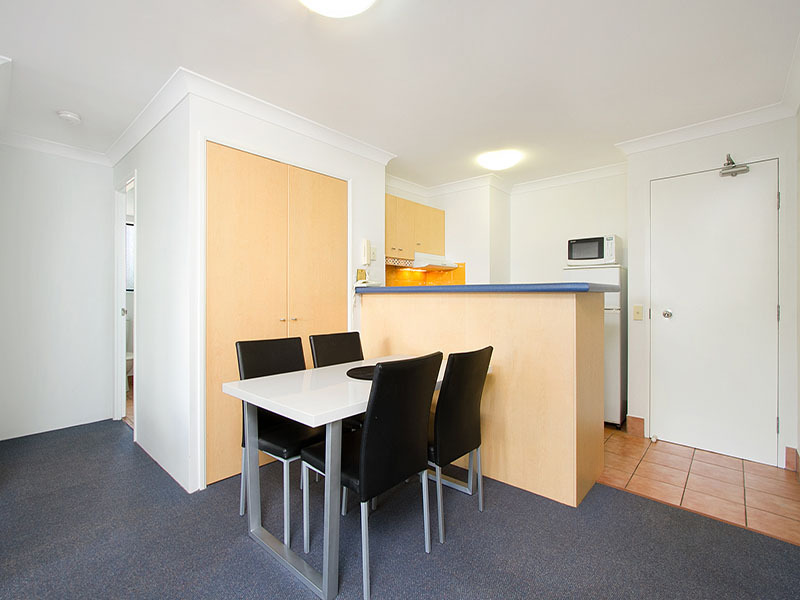 Some of our apartments have been recently renovated! 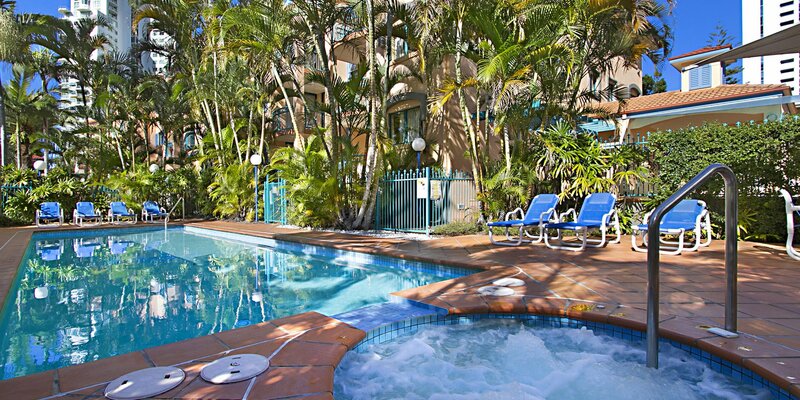 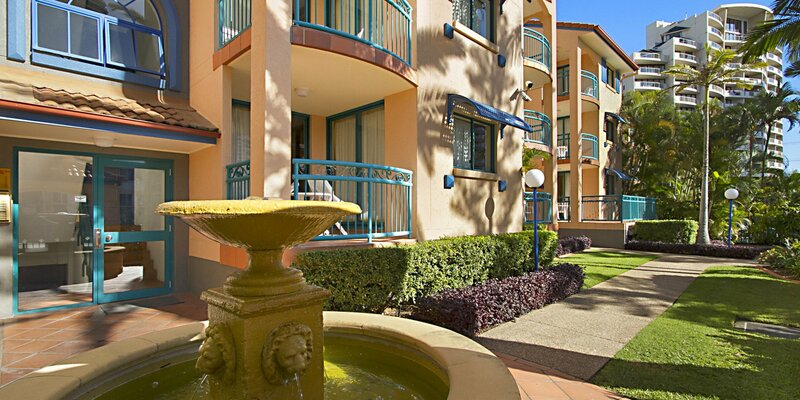 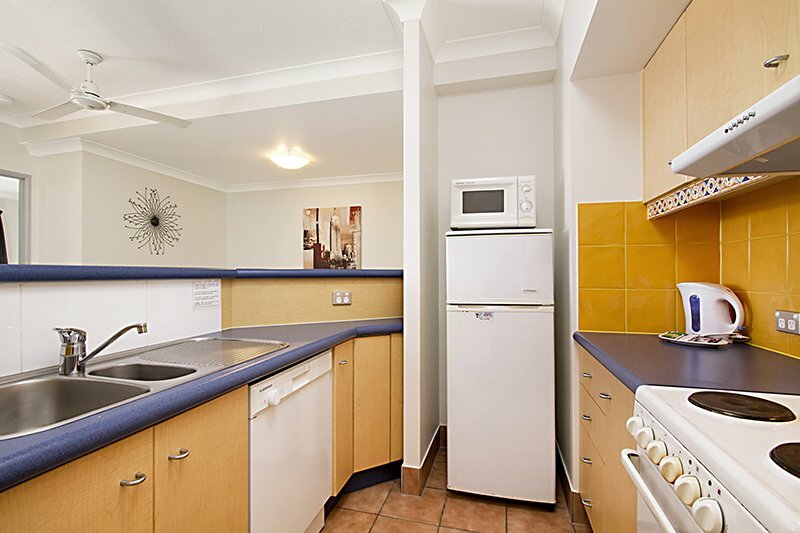 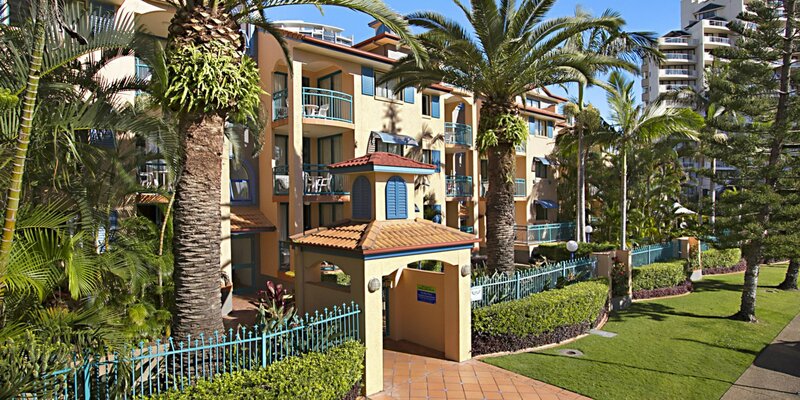 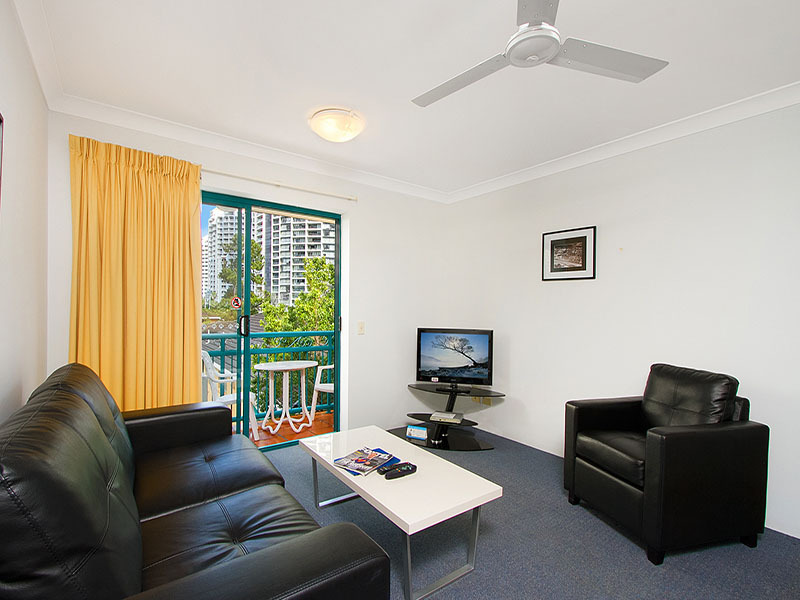 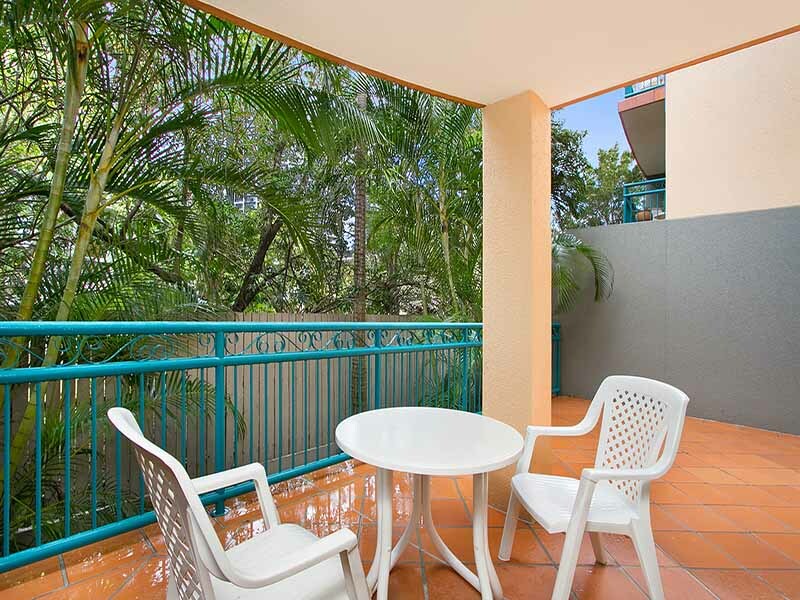 Self-contained queen studio apartment with balcony, air conditioning, Free Foxtel & Free WiFi. 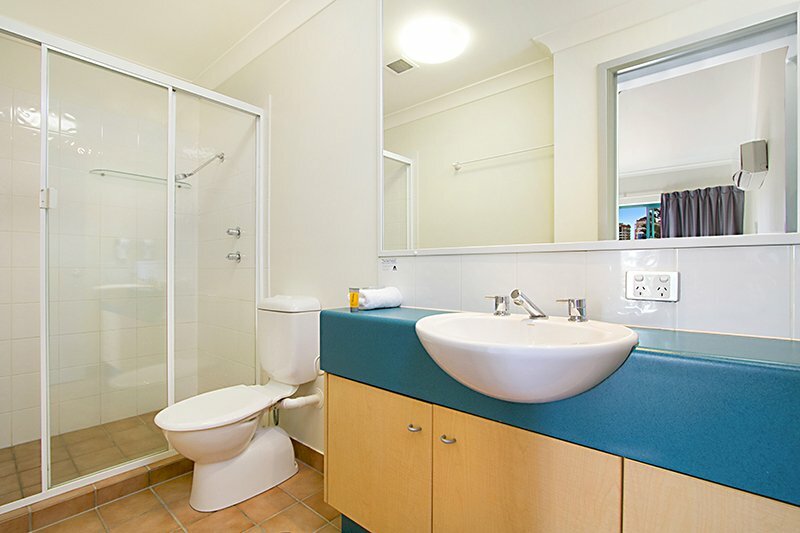 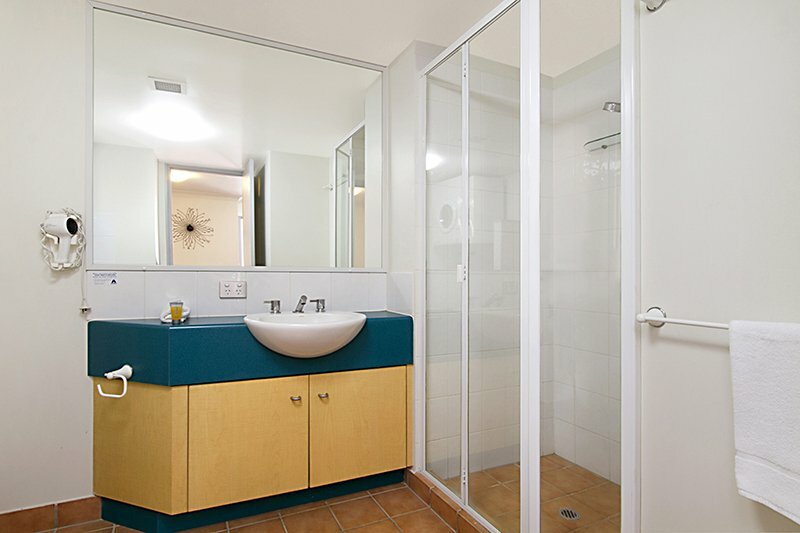 Ensuite bathroom, plus basic kitchenette facilities: microwave, toaster, electric jug, small fridge. 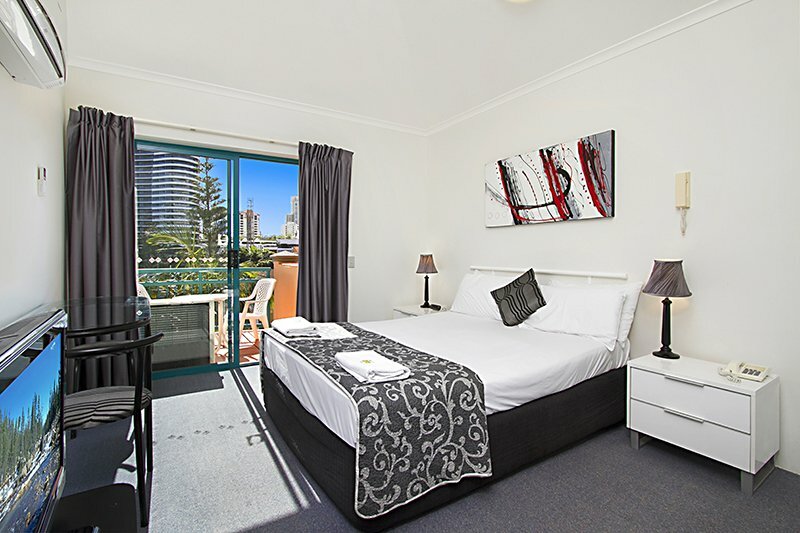 Ideal for couple or small group of friends, our 1 bedroom apartments are fully self-contained with private balcony, fully-equipped kitchen with dishwasher and microwave, and in-room laundry facilities including a washer and dryer. 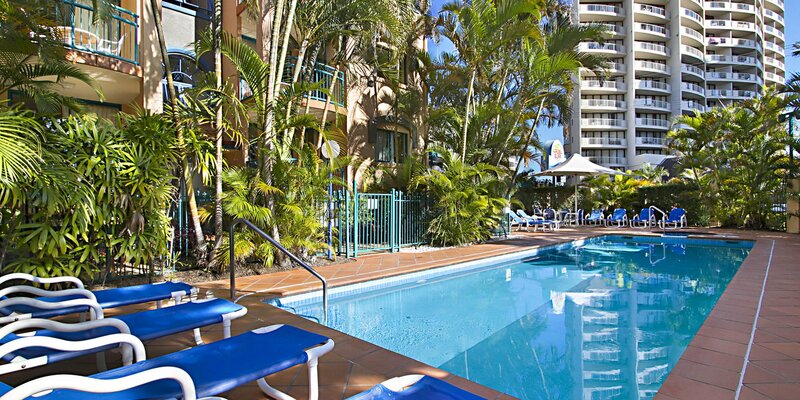 Free Foxtel & Free WiFi. 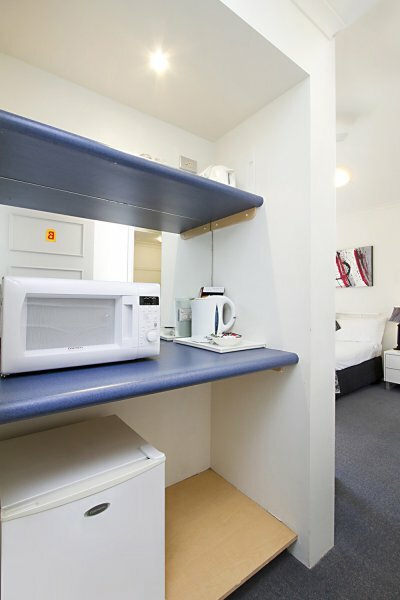 Our lovely 1 bedroom apartments have 1 queen bed and 1 sofa bed. 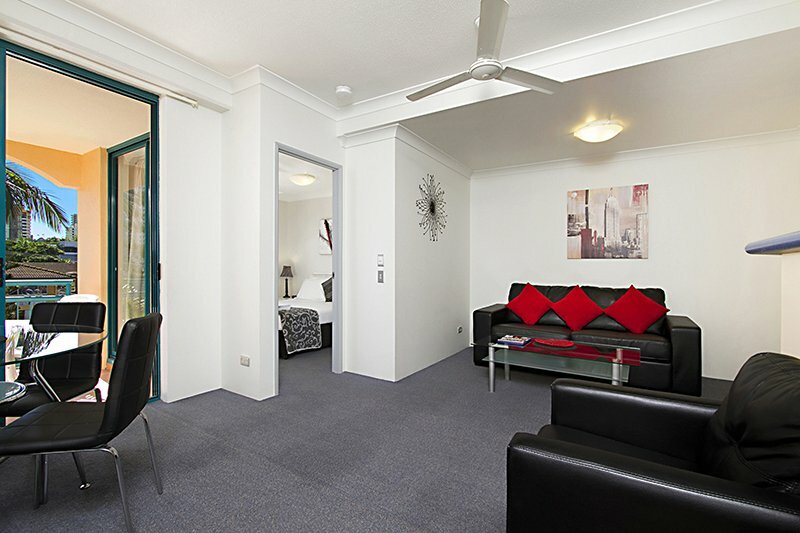 A maximum of 4 guests can be accommodated per apartment. 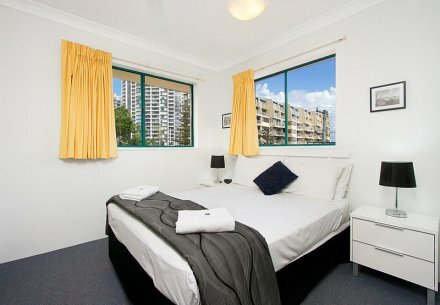 Perfect for family vacations, our 2 bedroom apartments are fully self-contained, split level units that offer two private balconies, one bathroom and an ensuite, phone/ fax/ Free WiFi & Free Foxtel, fully-equipped kitchen with dishwasher and microwave, and in-room laundry facilities including a washer and dryer. Our lovely 2 bedroom apartments have 2 queen beds and 1 sofa bed. 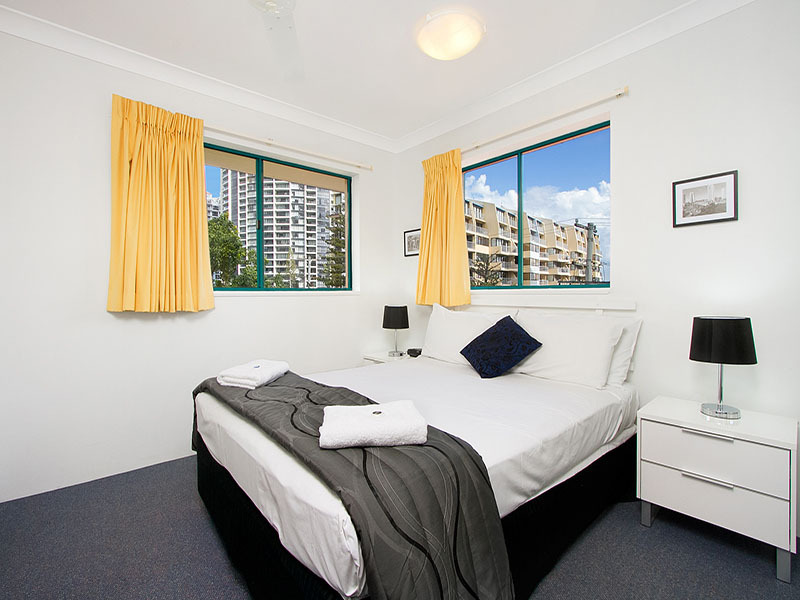 A maximum of 6 guests can be accommodated per apartment.